Contains a distinct and unique trend forum with colour and material themes. In each edition you will find accessory for women, such as, shoes, bags, jewellery, belts, hats, gloves, glasses, and much more! All gathered from the leading international fashion designers. The pictures are presented both as interesting details and as full pictures. 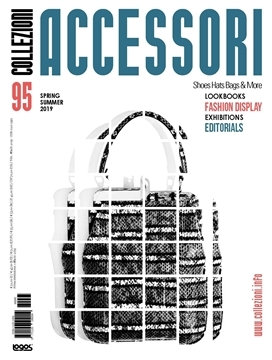 The Italian trade journal includes the accessory trends of the season; shoes, bags, jewellery, hats, scarves, neckties, and more. Also presenting bestsellers, the most important designer collections and a forecast.